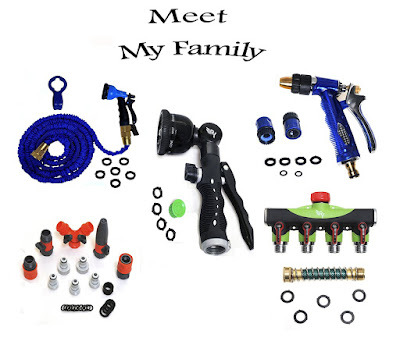 A garden hose nozzle may not seem like the kind of exciting thing one would like to review. But in this case, you would be wrong. My husband LOVED it. 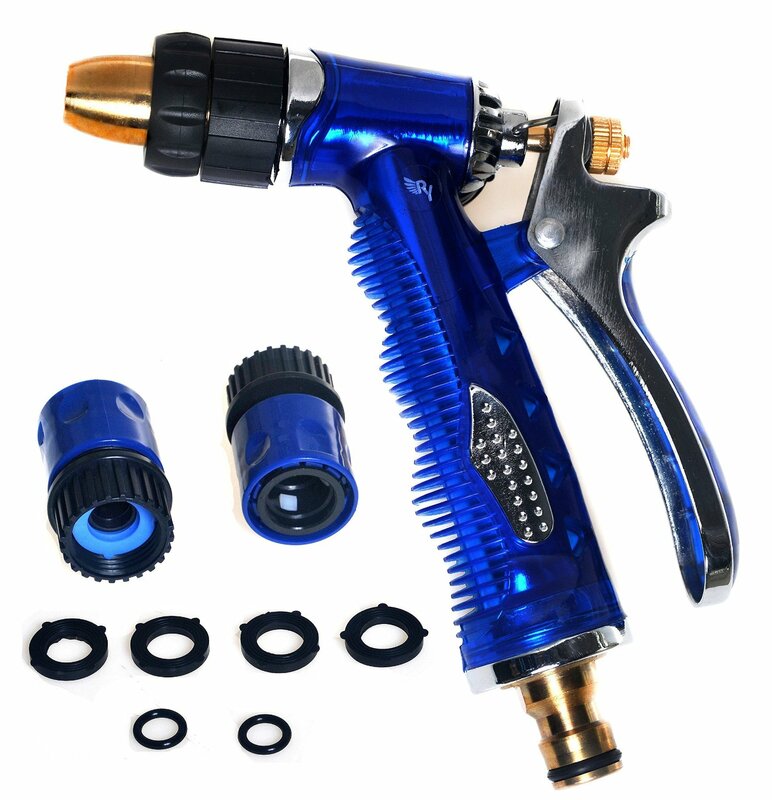 The color and the design of the nozzle were really nice and it had multiple spray levels. 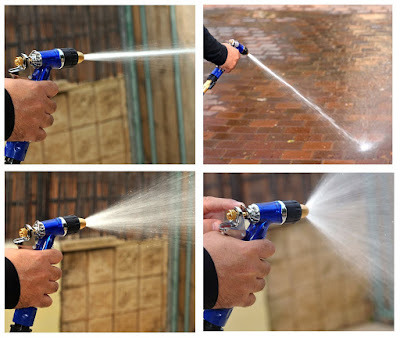 My husband enjoyed the fact that you can attache the nozzle to the hose as normal and then the attached nozzle allows an easy on/easy off method for the actual spray part. LOVE it. I absolutely despise having to remove the actual hand sprayer to attache the sprinkler. I never get it on right, I end up with wet clothes and generally it takes me a few minutes. The Raaya Sprayer is not this way. The easy on easy off allows for a quick change and there is an option for level of spray that nearly mimickes a power wash.
We would purchase this again and have enjoyed keeping our garden watered with the Rayaa sprayer. They even sent spare parts and that was the best part. We popped on the extra part on our backyard hose and we were set up for easy watering. Purchase this at Amazon and use Prime and you will be on your way to new nozzle!